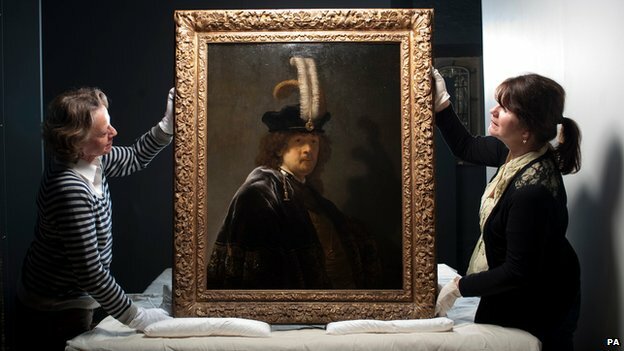 A painting depicting a grown man in a feathered cap has been confirmed as a Rembrandt self-portrait. Bequeathed to the United Kingdom National Trust in 2010, the painting was subjected to scrupulous testing including infra-red reflectography, x-ray, and chemical analysis of the pigments used to prove its consistency with other known Rembrandt works. Moreover, specialists the artist’s signature was indeed inscribed at the time of the painting’s creation and not at a later date. The painting currently hangs in Buckland Abbey in a special exhibition dedicated to the painting’s history and re-discovery. Read more at the BBC News.